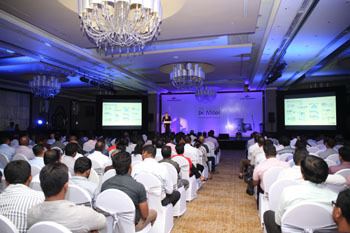 Mitel showcased its seamless communications technology that has revolutionised the way enterprises and individuals do business and stay in touch around the world at a recent launch organised by Metropolitan Communications. It introduced the latest innovations in enterprise communications where the smartphone would also offer the functionality of the landline, and where businesses can switch across devices and environments without any hindrance to their conversations. Mitel had just concluded a sale that could be termed among the largest providing 600,000 users connectivity throughout Europe for one of the largest automobile manufacturers. Its technological developments in fixed to mobile convergence, collaboration, call centres and hospitality solutions were shared at the launch.